An important feature in the Visual Studio Extensions is the Project Upgrade Wizard. 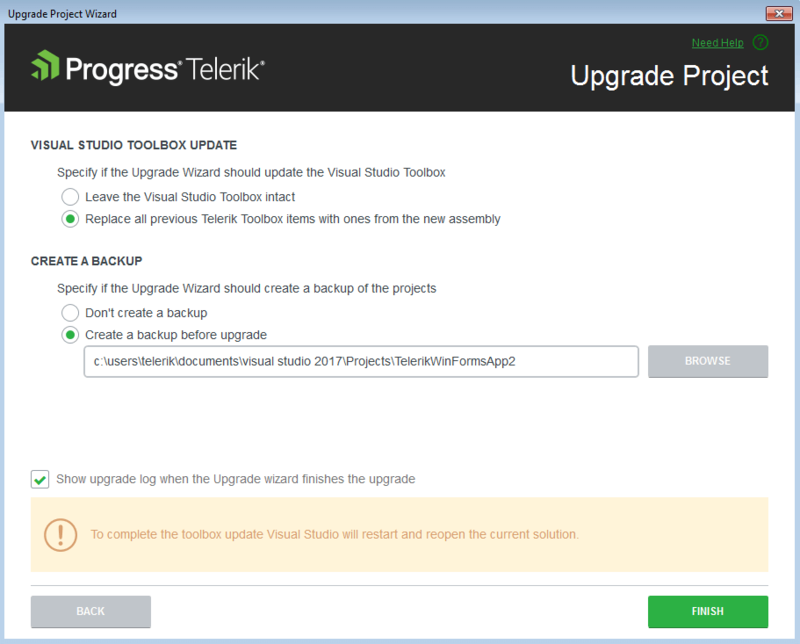 The Upgrade Wizard (started by using the Telerik > Telerik UI for WinForms > Upgrade Wizard menu item) is used to change the version of Telerik UI for WinForms your projects use. 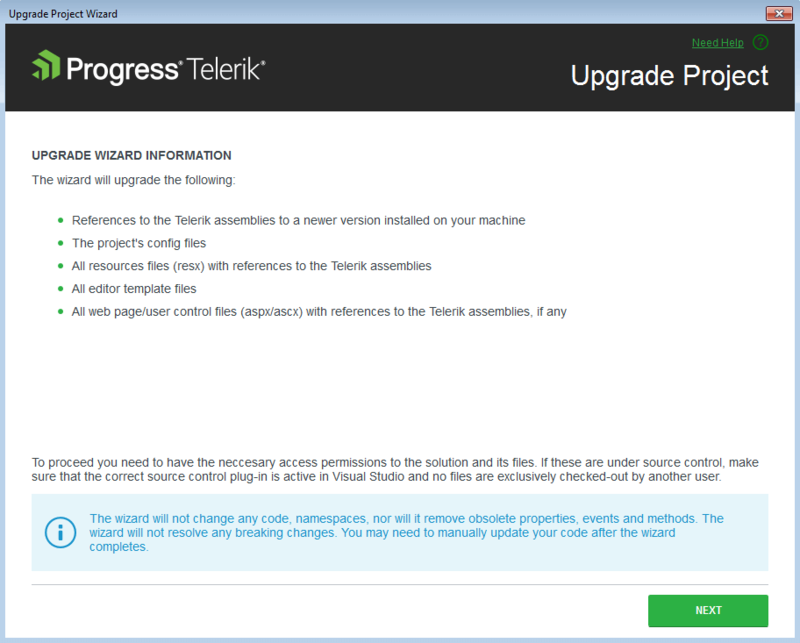 Check if a new version of Telerik UI for WinForms is available on the Telerik website. Download of a newly discovered version. The Telerik UI for WinForms distribution selection screen lists all the versions that can be detected automatically. These are versions, installed by using the Windows Installer MSI package, versions, downloaded by the Upgrade Wizard and versions, available in the GAC. Hotfixes, downloaded manually cannot be detected. You can use the GET LATEST button to access the Latest Version Acquirer and download the latest available version on our website. The distribution, downloaded by the Upgrade Wizard contains only the "hotfix" files, e.g. the barebone files, needed for a project to run correctly. It does not contain the documentation or the Live Examples. A Visual Studio restart will be required in order to update your toolbox. If the automatic restart fails, a restart should be initiated manually in order to complete the toolbox upgrade.